Let us help you make the most of your day, whether you are just beginning to explore the wonderful world of fly fishing, or if you are a seasoned veteran who wants to try a new technique or location. We offer a full range of locations for full day or half day trips plus we offer float trips and still water trips to the best locations in the state. Not only is our website full of great information to learn from, we offer a variety of classes and seminars throughout the year. Check out our latest class schedule and reserve your spot today. Space is limited and classes tend to fill up quickly, so book soon. You can’t beat our prices or selection. We offer the best prices available on-line and in-store from the best brands in the industry. Not only are you assured of the best prices, we will ship all orders over $30 to you free of charge! 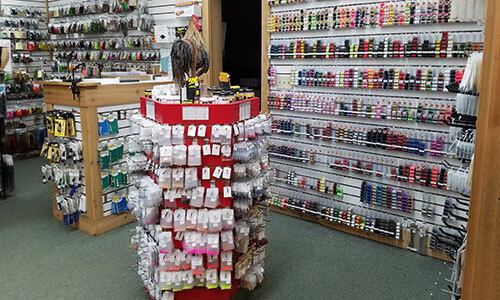 Since 1988, the Blue Quill Angler has served our loyal clients through our fly shop in Evergreen, Colorado, our on-line retail store, and our award winning guide service – led by the best fly fishing guides in Colorado. We take pride in being able to show our clients the finest fly fishing Colorado has to offer, whether its wading the South Platte river in Cheesman Canyon, floating the Colorado river through Gore Canyon, or fishing rivers close to Denver. The Blue Quill Angler is your one-stop shop for all your fly fishing needs, regardless of your skill level or physical location. Experienced shop staff. Most of the guys in our shop have been with the Blue Quill Angler for years. Cody Scott, Mike Williams, Brian Kelso, and Kerry Caraghar are here to help you with advice on equipment, fly tying materials, suggestions on where to fish, and to answer any questions you may have. These guys are some of the best in the industry, and their experience and variety of knowledge cannot be duplicated anywhere. Our stores (fly shop and online) are filled with all the best brands in fly fishing, including: Simms, Sage, Orvis, Patagonia, Ross, Rio, Hatch, Scientific Anglers, Umpqua, and Scott. We can get you what you need, all in one place, and you won’t find a better price on named brand merchandise anywhere. If you can’t make it to the shop, no problem. We ship all purchases over $30 directly to you at no extra charge! The best fly fishing guides in Colorado. 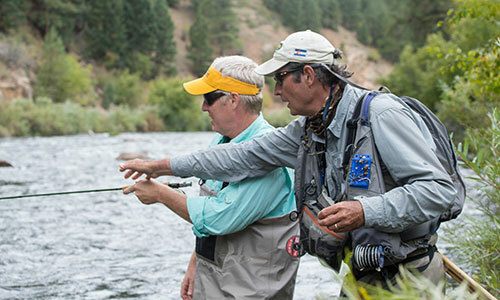 Our mix of fly fishing industry veterans, like Pat Dorsey, Bob Dye, John Keefover and Kerry Caraghar, have mentored and developed our entire guide staff, so that our ability to serve you in the best way possible will continue well into the future. Our guides are professionals and their passion and love for our sport is second to none. At the Blue Quill Angler, we understand that every guide trip we take is unique, and each client may have different goals for the day. The experience of our staff allows us to tailor your guided trip to exactly what you are looking for. The best rivers in Colorado. Our extensive permits allow us to take our guided fly fishing trips to rivers in Colorado that other shops cannot. 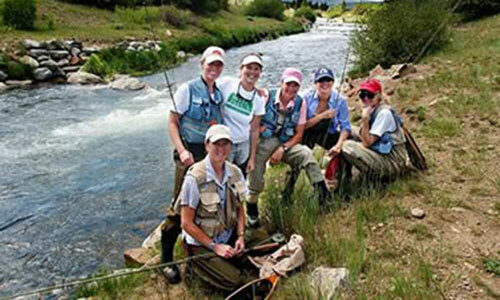 For example, we are one of a select few outfitters in Colorado allowed to guide in Cheesman Canyon, which is considered to be one of the most pristine fisheries in the world. Through our permits, we truly have the ability to take you to the river that is fishing the absolute best at the time of your trip. We professionally guide the South Platte river at Deckers, Cheesman Canyon, Charlie Meyer’s State Wildlife Area (Dream Stream), Tomahawk, Badger Basin, leases on the North Fork of the South Platte river (Boxwood Gulch, Longmeadow Ranch, North Fork Guest Ranch, and North Fork Meadows), the Colorado river, the Williams Fork river, the Blue river, the Arkansas river, and Rocky Mountain Angling Club properties. 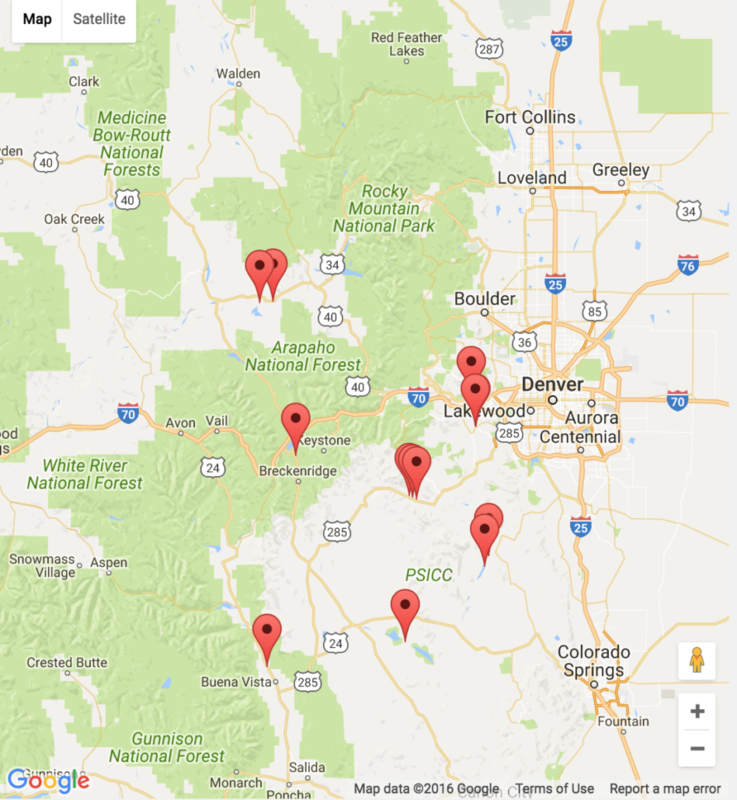 So you can rest assured, knowing that our guides will be taking you to some of the best fishing Colorado has to offer. We love to teach. We believe that fly fishing offers something for everyone. We also know that there is a lot to learn in fly fishing, so we offer many fly fishing classes and fly tying clinics throughout the year. Kerry Caraghar, who has nearly 30 years of experience as an Orvis endorsed guide, is the director of our classes here at the shop. Kerry’s passion for teaching fly fishing is evident through his lifetime experience teaching the sport, from beginners to advanced anglers. Check out our class and seminar schedules and learn how to take your fly fishing game to the next level. We also have fly fishing classes tailored to women and kids, so that they can explore the wonders of fly fishing in a friendly and welcoming environment. To that end, check out the Classes and Education section above and have a look at our online Fly Fishing Learning Center. We plan to keep it filled with useful and relevant information for anglers of all skill levels. We hope you bookmark our website and come back often. From all of us here at the Blue Quill – a sincere thank you for your business and support! Our fishing reports are generated from many of the Blue Quill Angler’s veteran guides who frequently visit many of these streams on a daily basis guiding their clients. We have guides on the South Platte, Blue, Colorado, William’s Fork and North Fork several times a week. This incredible network allows you to share their successful tips, and techniques as well as keeping you informed on effective fly patterns. Find the current conditions for your favorite spot.